A.R. 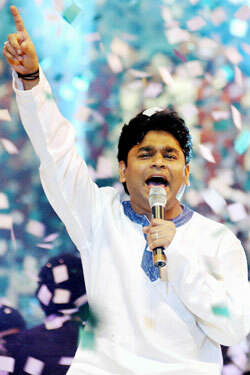 Rahman Slums It With M.I.A. Unless you’re obsessed with Bollywood (or you’re a regular reader of this very blog), chances are that your iPod isn’t loaded up with A.R. Rahman tunes. But even without your help, he’s managed to sell more than 200 million albums in his sixteen-year career — approximately as many as Madonna has in twice as long. But here in the States, he takes second billing on this ominously driving song from his soundtrack to Slumdog Millionaire, after his moderately popular collaborator, some musician named M.I.A. No matter how well you know their names, though, the pair are a great choice for the film; Rahman’s protean ability to compose any style of music meshes well with M.I.A.’s own eclectic tastes, creating a track that feels as at-home on the subway as it does on the subcontinent.